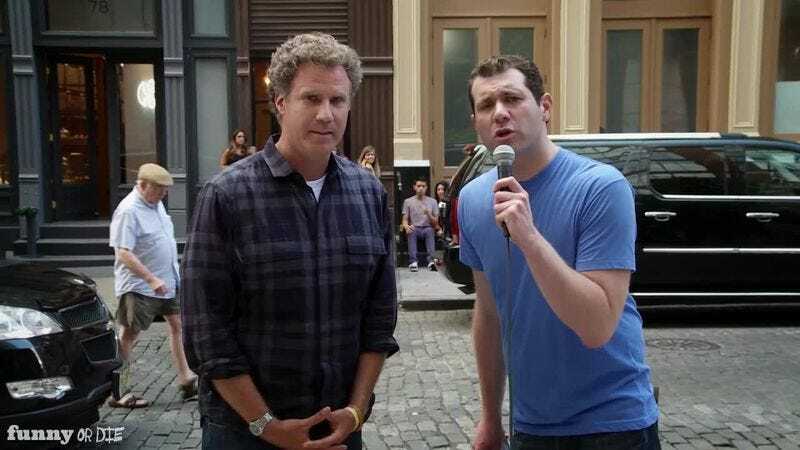 Although Billy On The Street has a new home on TruTV, we can still expect to see host Billy Eichner yelling questions into the faces of celebrities and pedestrians. And that list of performers has just gotten longer as Entertainment Weekly reports that Bill Hader and Jason Sudeikis will join Will Ferrell, Tina Fey, and Julianne Moore as guests on season four of the pop culture quiz show. Eichner will also drag Chris Pratt, Sarah Jessica Parker, and Anna Kendrick around the streets of New York to play “For A Dollar” with random passersby. There’s no word yet on whether Julie Klausner will get “Quizzed In The Face,” but you know how Difficult People can be. Season four of Billy On The Street premieres October 8 on TruTV.